We supply a wide range of PP Woven Fabric ideally suited for packaging ridged or wooden boxes, cloth bales for complete protection. We made these woven fabrics using optimum quality raw material based on latest technology. These products are highly applauded in the market due to their features such as designs, reliability and durability. These products clients can avail from us at reasonable price. Satyam Wovensack Private Limited has incepted in the year 2010. We are engaged in manufacturing and trading a wide range of industrial products for various purposes for customers across the globe. Our range of products is fabricated from well-known dealers of the industry that are made under the guidance of expert professions by using high grade quality material. 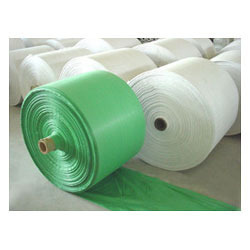 We offer various products that include Woven Bags and Woven Fabrics like Laminated Woven Fabric, PP Woven Fabric, Clear Woven Sheet. Wrapping Woven Fabric, Woven Sand Bags, Flexo Bags etc. We follow the stringent quality standards and maintain our products in safe and hygiene environment. Our users are very much happy with the quality of products that we produce. They are tested on various parameters to ensure their utility in various industrial applications. Under the valuable guidance of our mentor, 'Mr. Naval Kumar Agarwal', and his in-depth knowledge, business expertise and outstanding motivational skills have enabled us to reach our goals.